Modular cranes can supply complete range of vacuum lifting equipment to suit almost any lifting requirements. From lifting heavy steel plates to fragile sheets of glass, Modular cranes can supply most versatile and affordable vacuum lifters on the market. Anver is a worldwide leader in vacuum material handling technology, offers a complete range of vacuum lifters and vacuum lifting equipment. Self-powered mechanical vacuum lifters, electric and air-powered vacuum lifters are all available in lifting capacities ranging up to 26,600KG or more depending on your needs. Any Object: Sheet, plate, coil, pipe, boxes, paper, bags, etc. Any Material: Metal, concrete, foam, wood, stone, plastic, etc. Any Shape: Concave, convex, flat, ribbed, uneven or wavy surface. Any Action: Lifting, picking, tilting, rotating, placing, packing, etc. 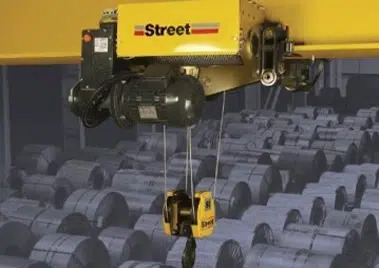 What are Overhead crane, bridge and gantry cranes?